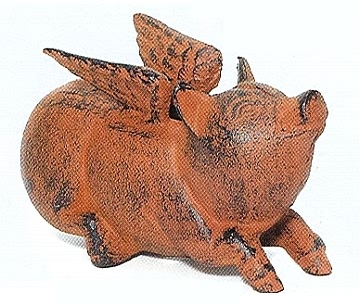 Here's a real whimsical pig figurine who will make a nice cute gift for the one who loves all things piggy! A snotty and personable little pig with a happy personality sure to please as he settles his form for a permanently lying down position. Cast iron. Hand finished. Dimension: 3"H x 5"W x 2"D"